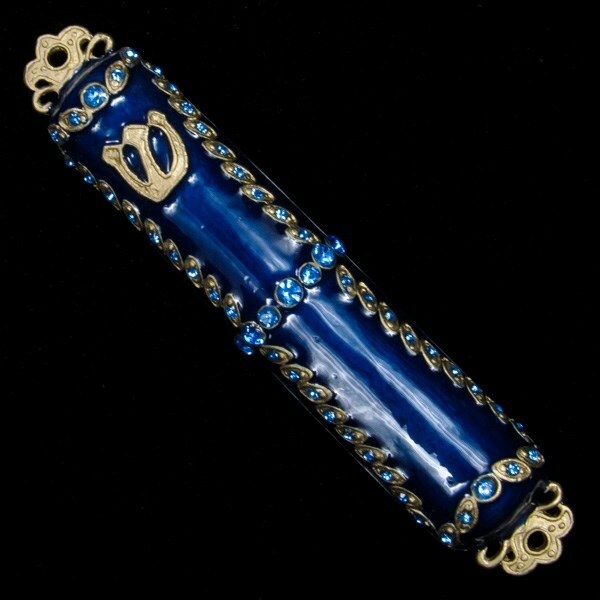 Enameled metal mezuzah case with jeweled accents.Solid front; open back with bar. Gift box. Please note this does NOT include a scroll!